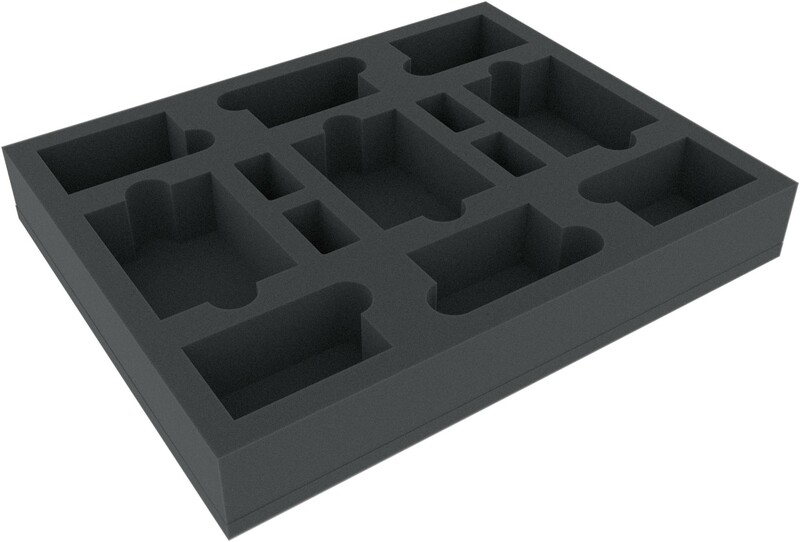 This foam tray is perfect for the Massive Darkness-game material. 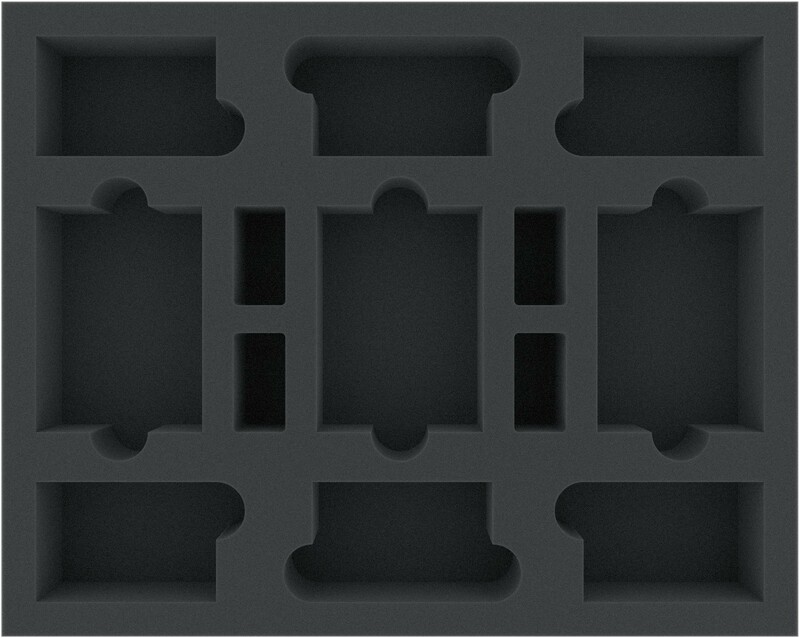 In the 13 compartments you can sort and protect your cards in sleeves, tokens and dice optimally. 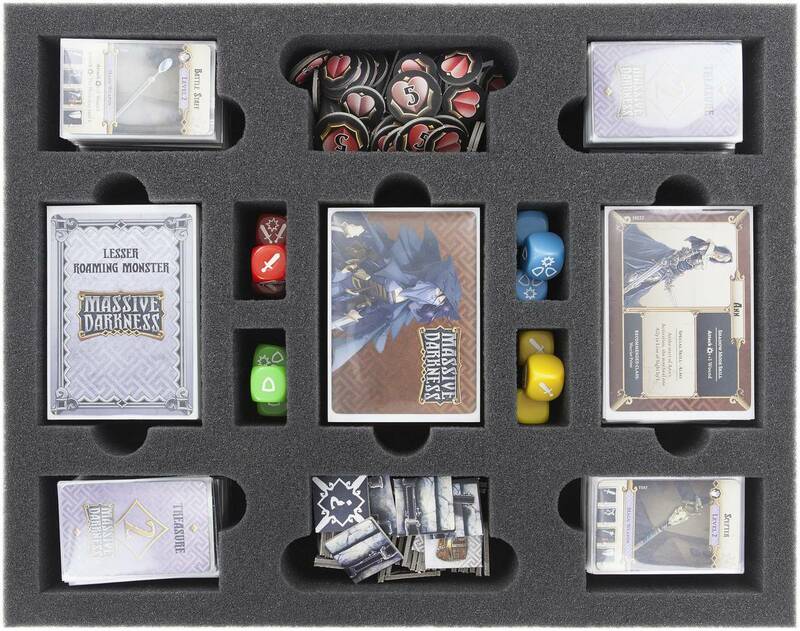 So you have the possibility to arrange your Attack and Defense Dices, the different tokens as Wound, Treasure and Level Tokens or the Event, Door, Starting Equipment, Artifact, Treasure, Guard and Roaming Monster Cards in sleeves.